There are many options available as steel fencing comes in a range of standard lengths and heights. Strong, sturdy and secure with a first class installation metal railings and fencing can provide an excellent means of securing a range of environments. Whether it is an industrial building or one that requires a more aesthetically pleasing look such as a public building, you can have your steel fencing adapted to your specific requirements. In addition to a wide variety of designs most railings and fences are also available in a variety of shapes – from the simple flat design, through archways to upward and downward curves. 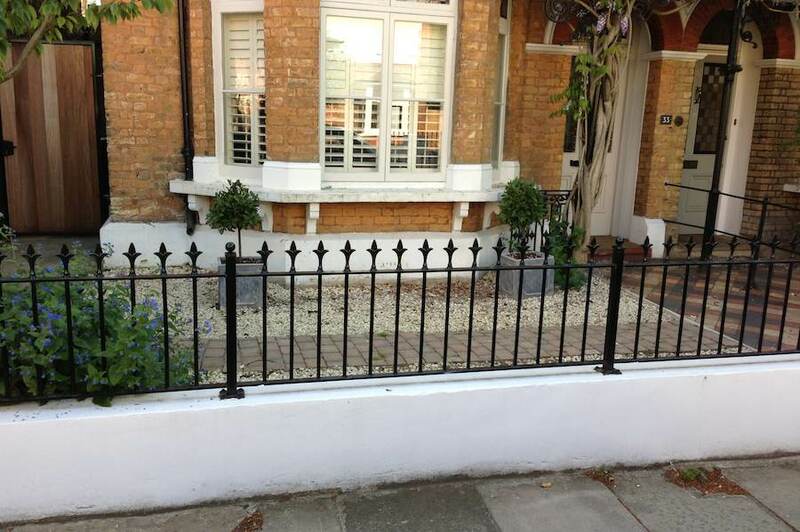 We also take on projects in matching or replacing original railings. All the railings are fabricated in our own factory and can be installed if required. We now offer a computerised system to demonstrate to you the design and the look of your property before we start the fabrication. This system makes it easier for you to see how your property will look with a particular design and it is a great help to visualise the look before the fabrication starts.